Welcome back to Foodie Friday Link Party 59! We’re so glad to have you. We’ve got some pretty amazing recipes this week and some great tips on preventing kitchen fires. As we head into the fall season it seems like we are cooking and baking a lot more. These recipes and tips to prevent fires are a home run. 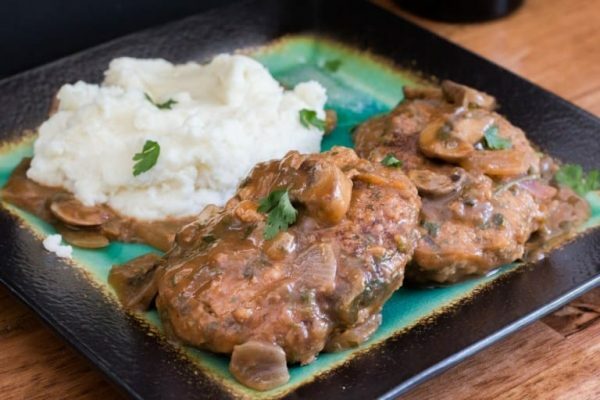 Jaxx, from the Bearded Hiker, shares his story about Salisbury Steak and how he changed the ugly school cafeteria memories of this meal with his amazing and oh-so-delicious recipe. Click on over to find out how one bite convinced his niece she needed more. Seriously, you need this recipe. First of all low carb is a wonderful things to hear. Second, it’s made in an air fryer. And third, there are some taste explosions in this side dish. Chicken, parmesan, paprika and garlic seasonings, and pork rinds. So, you know this is going to be a super good recipe. 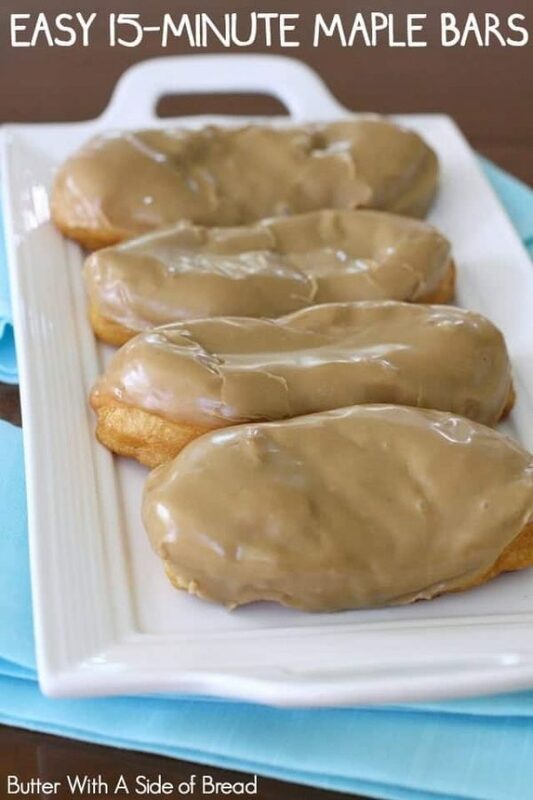 These Easy 15-Minute Maple Bars are right up my alley. They are a super simple recipe that you can make with the kids and end up with a scrumptious and wonderful dessert. Be sure to check out the budget-friendly recipe. I am craving them now. Look at that frosting on the top. Doesn’t this birthday cake look incredible? I am not sure the birthday boy or girl is going to want to share any. 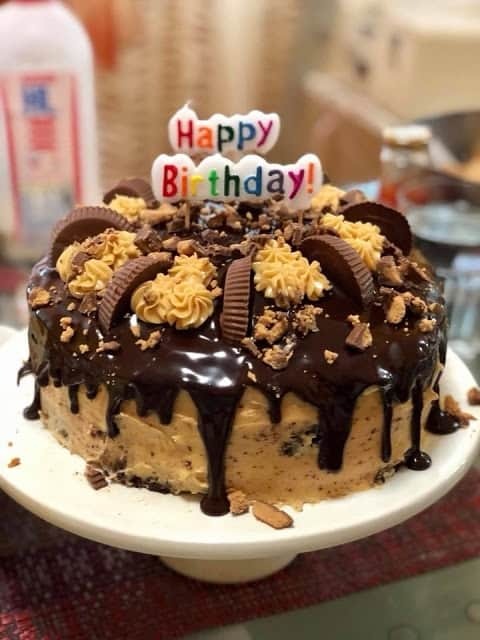 The recipe features a moist choco cake, peanut butter frosting, a choco ganache, and Reese’s Peanut Butter Cups adorning the top. I’d love this for my birthday cake. 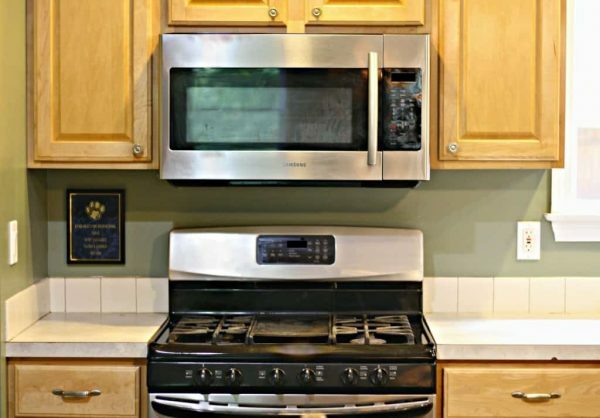 Patrick, over at Looney for Food, shares some great tips to prevent fires in the kitchen. It’s a great reminder as we get into the holiday season to be aware of these tips. Head on over and check out his post. It can make a big difference. Hi Marilyn! 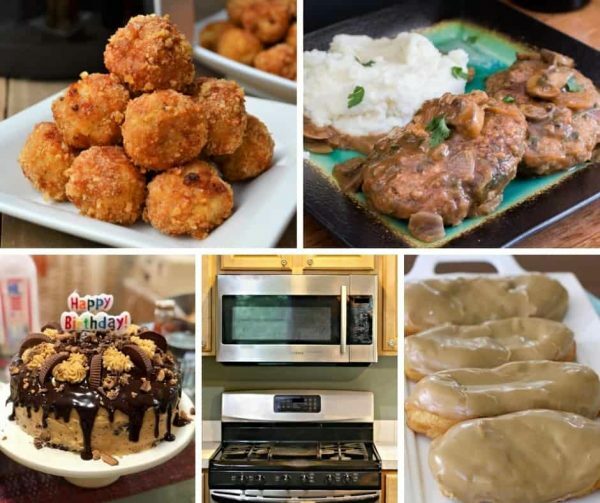 Thanks for always sharing your great recipes! Thank you for hosting the party. These are some great links here. We appreciate you. Hi Amy! Thanks so much for always sharing great recipes! Thank you so much for the feature of our family’s favorite birthday cake. Yes. youre right, I turned my back and its gone. Just a bite for me and before I knew it, not even a slice to take a photo. Thanks for hosting and have a great weekend. I can imagine it’s gone lightning fast! Looks soooo good! You’re welcome! Thanks for the wonderful kitchen safety tips. So many tasty recipes here! Thanks for hosting! Hi Amy! Thanks for stopping by! Thanks for featuring my salisbury steak!! 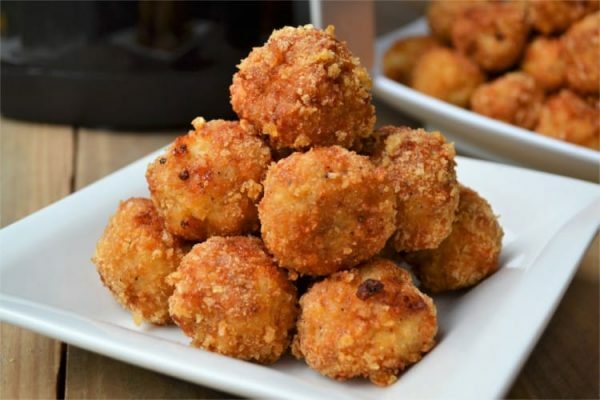 I’m in some pretty impressive company – those air fryer chicken balls look amazing! You’re welcome! They do look amazing, along with your salisbury steak!